Jim joined Jack Tumilty with Collins Engineering in the Tulsa office in 1974. In 1982 Jim joined McCune Partners, Inc. for a couple of years, before moving to Flynt & Kallenberger in 1984 where he is currently employed. Jim joined ASHRAE in 1975 and he is also a member of ASME. Jim is still an active member of our chapter. Joe was never one to sit still. 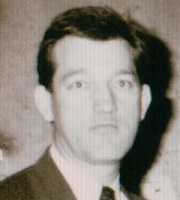 He was involved in Thermal Systems in 1967 and transferred to ONG in the Tulsa office in 1970. He was transferred to Oklahoma City in 1971 and returned to Tulsa in 1973 serving in commercial marketing. In 1980 he was Director of Staff HVAC. Joe retired from ONG and was VP of Marketing for Tri-Fuels for a period of time. Joe was very active in our chapter and was involved in changing our meeting days from Monday’s to Wednesday’s and helped move the location to the Candlewood Club. Joe was very involved in our chapter for many years. Dave was with the Marley Company in Toronto, Canada when he joined Walt Smith at Process Equipment Company in Tulsa in 1976. Dave worked for Boone & Boone before moving to KC in 1985. We had grown to 150 members and under Dave’s leadership for the first time our chapter exceeded the national growth rate. Ken left McDonnell-Douglas to join Lee & Browne in 1976 and joined Ed Teis in 1980. In 1984 he joined McCune, McCune and Associates for a while before moving on to Dallas. Alan joined the Watt Plumbing and Heating Company with his father, Neal in 1976. Alan is one of two past presidents to follow their father’s footsteps. Chick was with Gulf Oil Company before joining Process Equipment Company in Tulsa in 1966. Chick has been very active and has contributed greatly to this chapter. Bill stared with the Norman Plumbing Supply Company in Oklahoma City in 1973 and then joined O’Conner Oklahoma in Tulsa in 1974. In 1980 Bill started the Boone & Boone Company. John graduated from John Brown University, in Siloam Springs Arkansas in 1972. He was born in Bay City Michigan. John became a member of ASHRAE in 1983. John is a registered engineer in Oklahoma, Texas, Louisiana. Bob is a native Oklahoman and grew up in Moore OK. Technical drafting and Pipefitter trained, Bob served in the Oklahoma National Guard for 6 years (1971-1977). He was a pipefitter from 1969 to 1978. Carson began work with Johnson Controls in Oklahoma City as Service Sales Engineer and became a member of ASHREA Central Oklahoma Chapter in 1979. 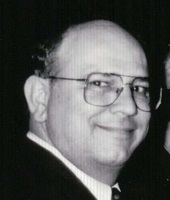 Bob transferred to Tulsa – Johnson Controls and NEOK chapter in 1982. Paul joined ASHRAE in 1969 while working in Oklahoma City, and in 1980 he transferred to our chapter. Paul managed the Mechanical Engineering Department for The Benham Group in Tulsa. Our chapter was 175 members strong and was meeting at the Candlewood Club. This web site is maintained by the Northeastern Oklahoma Chapter of ASHRAE®. It does not present official positions of the Society nor reflect Society policy. ASHRAE® chapters may not act for the Society and the information presented here has not had Society review. To learn more about ASHRAE® activities on an international level, contact the ASHRAE® home page at http://www.ashrae.org. ASHRAE-NEOK web site is maintained by Justin Stonehocker, NEOK Webmaster.